Lift spirits with a flavorful selection of delights crafted in our bakery. Only the best ingredients go into such delectable treats as lemon citrus shortbread cookies, rich cinnamon swirl, honey-rich baklava, sweet apple loaf cake, and walnut chocolate chunk cookies. 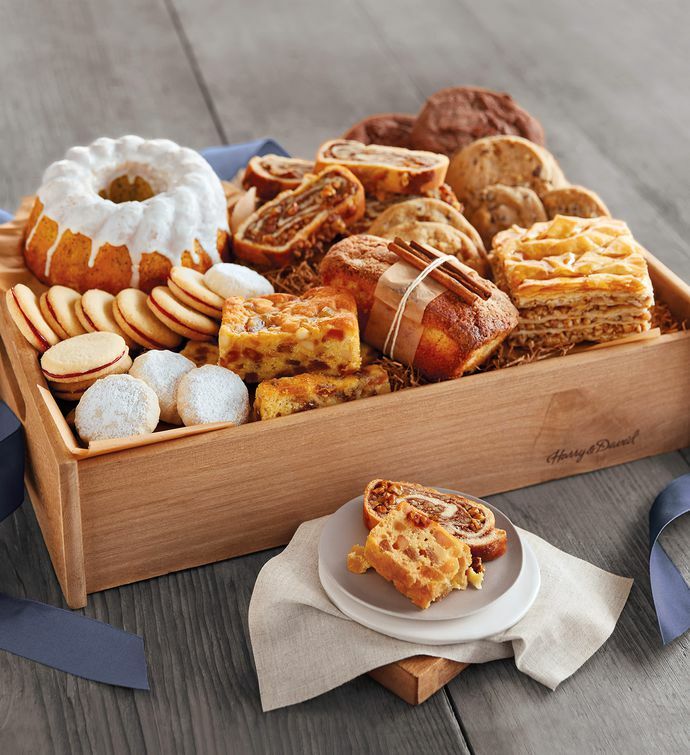 The collection arrives packed into a handy, reusable wooden tray topped with a hand-tied bow.